Friends, I’ve moved! The city lights and seaside views are no more in this small, interior town called Ibri. The desert dust seeps into my apartment and my sense of direction is all turned around – although if you know me, it may not have been there in the first place. I know that Saudi Arabia is one way, and Yemen the other. Needless to say, shifting from Muscat has been a bit of a challenge. 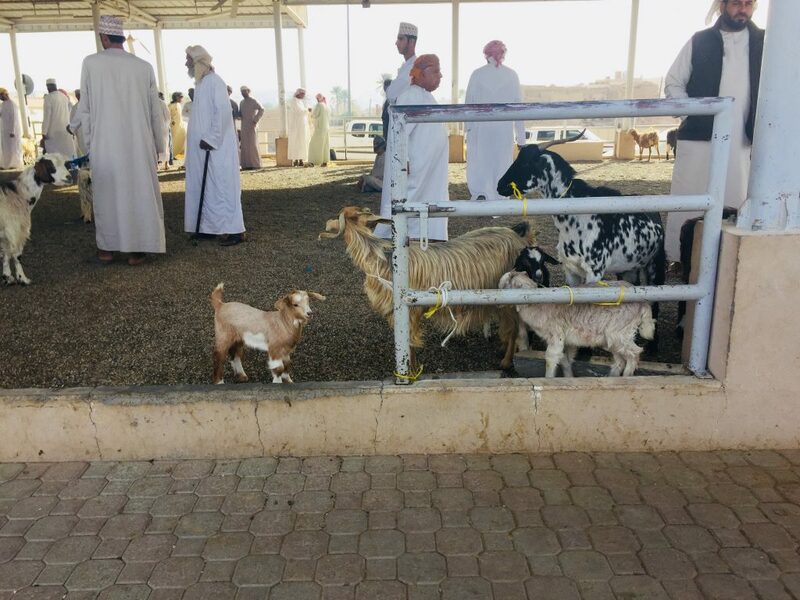 But, the prayer call remains the same and I am more certain I will have more and more conversations with Omanis and others who have settled in this rocky, traditional town because of the language skills I will be learning here. The next six weeks I will be studying Arabic at an institute about a forty-five-minute walk away. I’m sharing an apartment with three other students from the United States and a wonderful Irish woman who has just spent the last seven weeks in India. We are all so passionate about learning the ancient language, and as we walk from place to place with our hair flowing wild, it is painfully obvious that we don’t necessarily belong here. Yet, having a bit of a crew has been refreshing. View of Ibri from the roof of the school. 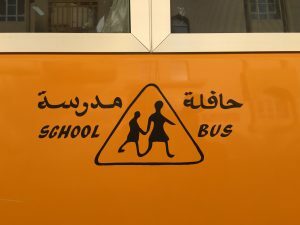 On the first day of school, we were picked up at 8:00am and driven by bus to the institute. We had some Omani style Cardamom coffee and Karak tea (sort of tastes like sweet chai—yum!) and settled into the space before those who have some experience with Arabic took a placement exam. David, another Hope student, Éabha, my Irish roommate, and I skipped out because we had too little or zero (me) Arabic experience and decided to venture about outside. We marched down the road and came across a group of Omani men standing in a circle under a roofed ring. As we approached, the bleeting of goats and the booming shouts in Arabic revealed we had entered an auction. Goats of all sizes were being dragged, tugged and carried about by men of all ages. One man welcomed us in with a crooked-toothed smile and invited us to take a picture of his prized goat. I was distracted by the baby goats running after their mothers and whining for their morning snack. Older men smiled and joked with their neighbors, while the man in charge of it all recorded prices and names in his book. Every morning this business goes about in Ibri. These goats aren’t pets, rather the next meal, but it is remarkable to think that this trade has been going on for centuries. Maybe, it has been happening in this same spot near my school. I think one of the highlights of living here will be to walk through the community near the school and remember how old the world truly is. We are surrounded by mountains that were once flooded with sea water. Now, they boast beautiful layers of color from oranges to purples and greens. A geologist’s paradise—and now my new home! I cannot wait to soak up the details of it all, although it’s going to be pretty dry for the next six weeks in Ibri.